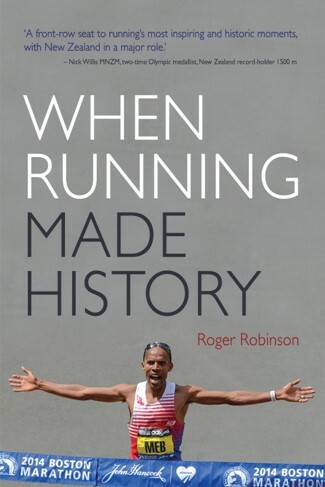 The latest Canterbury University Press (CUP) publication, When Running Made History takes the reader through the evolution of running over 60 years – from minority sport to booming world movement – all from the first-hand perspective of world-class runner, journalist and Emeritus Professor, Roger Robinson. His eye-witness account offers new insights into running and its significance beyond sport, with modern mass gatherings promoting goodwill and inclusivity, affirming communal values in a book New Zealand Olympic medallist Nick Willis describes as “a front-row seat to running’s most inspiring and historic moments, with New Zealand in a major role”. This is a social history as much as a history of sport and Roger Robinson’s compelling, witty, beautifully written narrative will appeal to a wide readership. Runners and spectators alike will relate to the theme of running as a form of celebration, commemoration or catharsis. Its publication is timely as Christchurch prepares to host the sixth annual Run to Remember on 24 February. Please email your answer to universitypress@canterbury.ac.nz by 12 noon Wednesday 20 February. The winner will be drawn at random and announced in Insider’s Guide | Tūpono on Sunday 24 February.